They Shall Not Pass and In the Name of the Tsar are yours for a limited time. There is still some time left to join the Road to Battlefield™ V, a celebration of players with chances to earn awesome rewards and weapon skins just for playing Battlefield™ 1*. 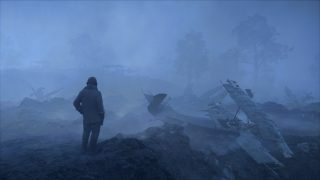 To help those with cold feet, we are giving away the four Battlefield 1 expansions periodically from today until the end of October, starting with a free* offer of Battlefield 1 They Shall Not Pass and In the Name of the Tsar, from today until October 16. When you’re ready to deploy as the seasoned French Army, lead your squad across the maze of dark galleries on the Fort de Vaux map or play Conquest on a map like Rupture, where you’ll fight with tanks, biplanes, and on foot across a sea of poppies. Test your meddle in the tug-of-war action of the Frontlines mode, see if you can handle the Trench Raider Elite Class, and rack kills with the Ribeyrolles 1918, new melee weapons, and more. 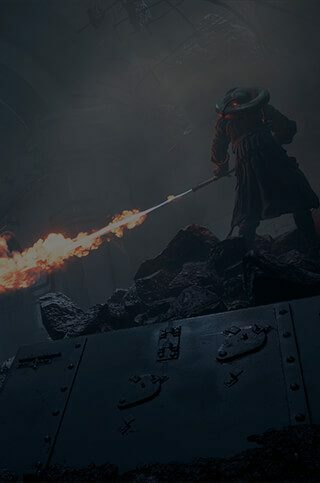 Discover the rest on the Battlefield 1 They Shall Not Pass page. Don’t miss your opportunity to join the ranks of the most massive mobilized army to enter World War 1 — the Russian Empire — on the war’s biggest front, as represented across six massive maps. These include Tsaritsyn, Volga River, Lupkow Pass, Albion, Galicia, and Brusilov Keep. Combine forces with the Russian army, including the Women’s Battalion of Death, and tackle these maps. Play as the largest army in the world on the largest front of WW1 with 11 new weapons and vehicles like the Putilov-Garford Heavy Armored Car, while you defend positions with the powerful coastal stationary weapon. 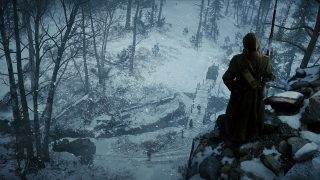 Open the Battlefield 1 In the Name of the Tsar page for a full look at all the different experiences available from the Eastern Front. Enjoy Battlefield 1 and get cool stuff – but for not much longer, so do it today! A list of daily tasks will meet you when logging into Battlefield 1. Conquering those challenges will help you earn a slew of rewards, like weapon and equipment skins, Dog Tags, and Squad XP Boosts. It’s not too late to earn some of the Battlefield V weapon skins for use in that game once it arrives in November. The available rewards unlock weekly and can be earned during that particular time period. 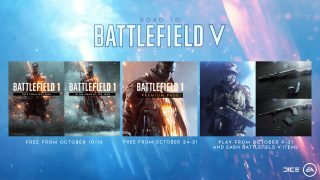 Check the Road to Battlefield V page for more info. Every Tuesday rolls out a different collection of multiplayer maps featured inside Battlefield 1, that are curated for you based on a common theme.